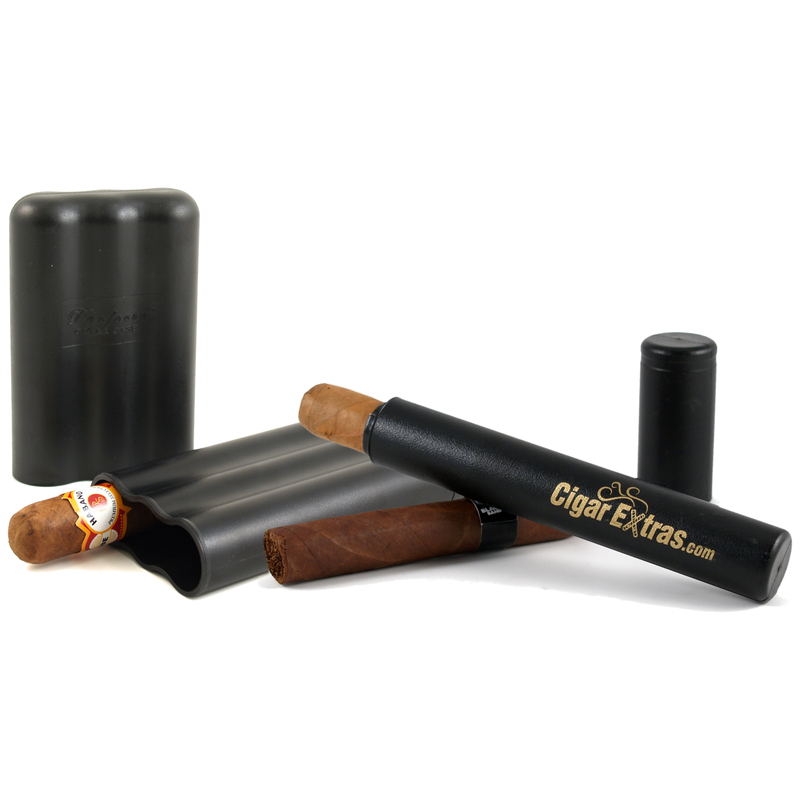 Carry more cigars on the go without fear of damage with the Cigar Extras Perfecto Case Plus Single Tube On The Go Kit. Complete with a single Cigar Extras cigar case and a Perfecto three finger crushproof cigar case, both are designed with tough, hi-impact, crack-proof ABS plastic to protect your precious stash. The Perfecto cigar case is also equipped with an advanced built-in humidification system that gives out humidity evenly to maintain a consistent RH of 70%. The Cigar Extras single tube case is completely airtight and will maintain cigar humidity for up to 14 days when the case is left closed. It also adjusts between six inches and eight inches and each accommodates up to 54 ring size cigars. An extra bonus is the telescoping action which clicks as you push each unit closed, forcing out air and keeping moisture locked in.